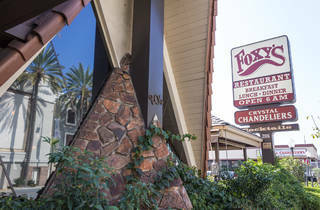 Photograph: Michael JulianoLeaning Tower of Mexico at Foxy's. 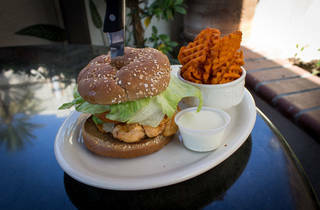 Photograph: Michael JulianoGrilled chicken sandwich at Foxy's. 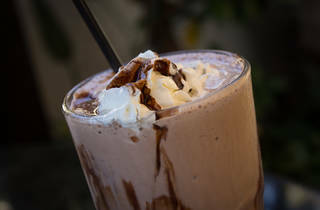 Photograph: Michael JulianoChocolate shake at Foxy's. 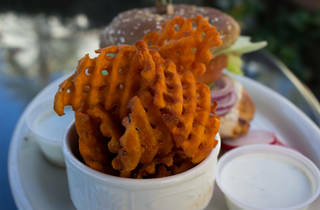 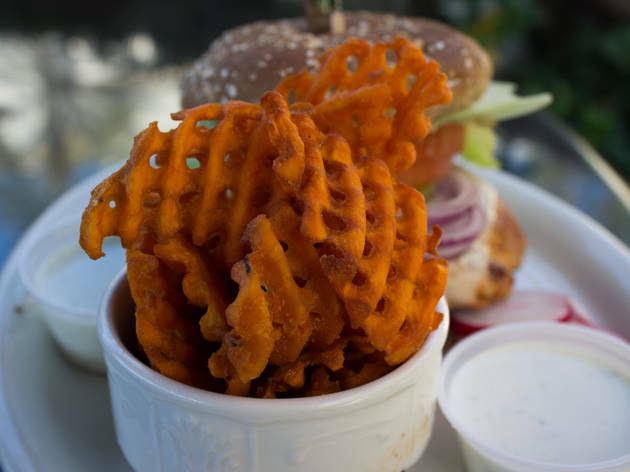 Photograph: Michael JulianoSweet potato fries at Foxy's. 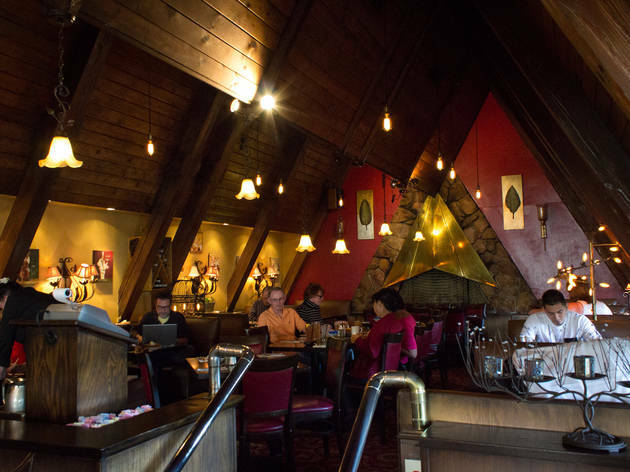 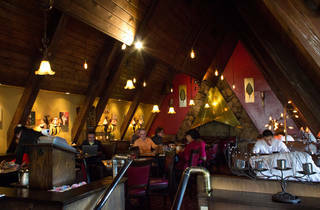 Foxy’s wooden A-frame sets it apart, stylistically speaking, from most other retro diners in LA. 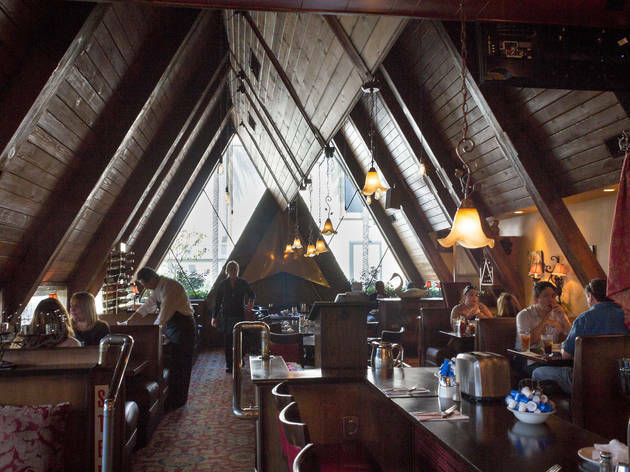 This Glendale restaurant's dark wooden planks, including a dropped “V” rafted along the center of the ceiling, keep the interior cozily dim. 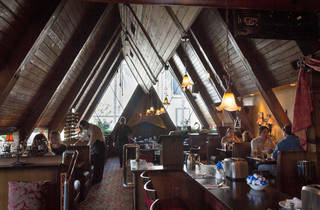 You’ll find brassy, arrowhead-shaped fireplace hoods on either end of the interior: one set against a rock wall, the other flanked by floor-to-ceiling windows. 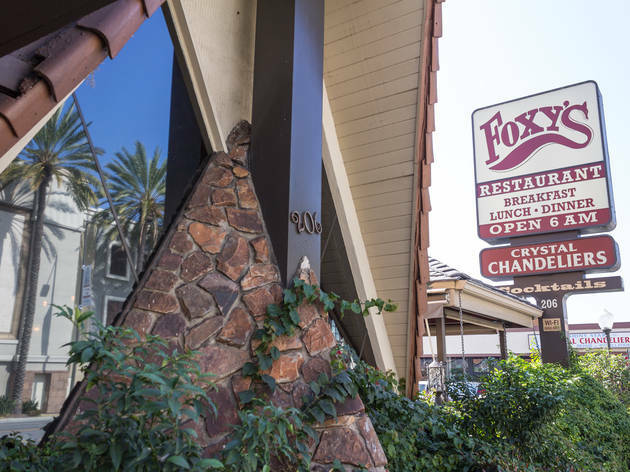 The menu at Foxy’s is a gargantuan, multi-page affair, with a photo for almost every dish and cuisine that skews towards Mexican. 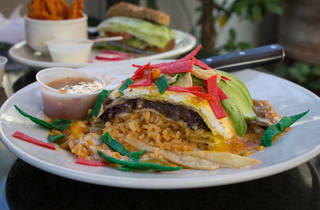 The South-of-the-border breakfast plates seem to be the most popular items, and are also the best of the bunch. 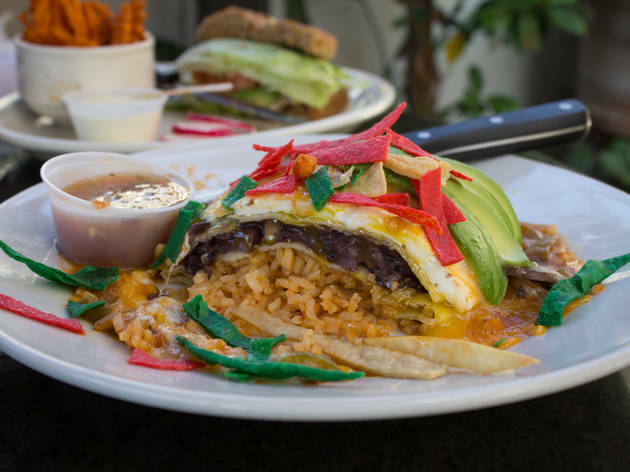 The Leaning Tower of Mexico couldn’t exactly be called authentic, but it’s just what you want on a carbo-load day: three corn tortillas layered with Spanish rice, black beans and two over easy eggs, all topped with ranchero sauce, avocado and cheese. 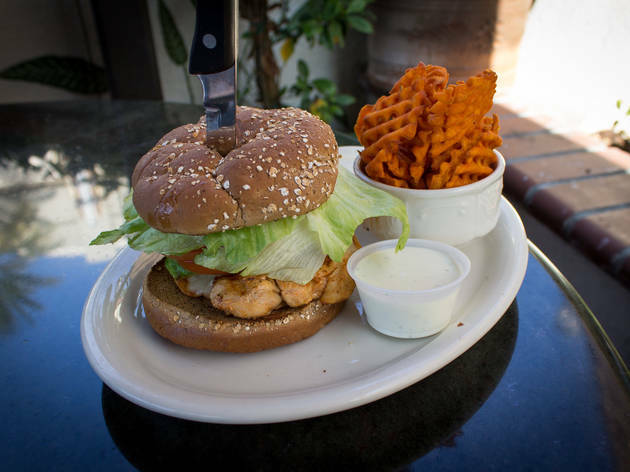 Avoid the self-explanatory chicken sandwich—literally, just an overcooked piece of chicken with iceburg lettuce and a tomato between two buns. 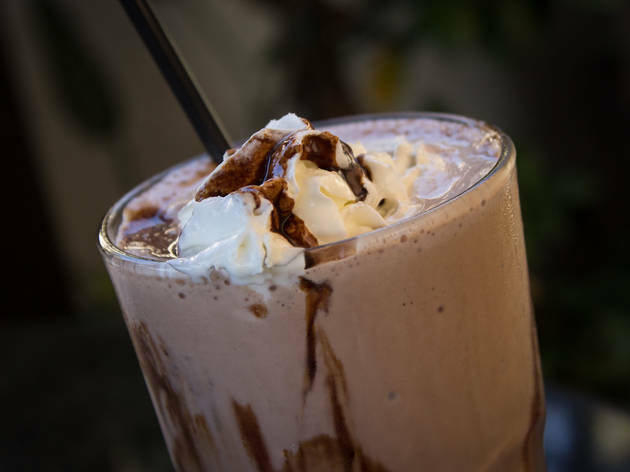 There are shakes here, too, and while they are thin and not as creamy as some other diner versions, it’s a decent note to end on.